Kudos to Oregon Business Magazine for its feature, Women’s Work, which details the chronic gender gap that continues in manufacturing. The article is based on interviews with female professionals in trade organizations, manufacturing firms, and higher education. Together they show how improving gender representation requires a concerted approach from across the industry to reshape an institutionalized culture of gender-based segregation and redefine archaic norms of what work women can and cannot do. Advising businesses that diversity will ease the labor shortage and improve the bottom line. Promoting manufacturing careers to female students and professionals. Providing supportive networks, like Women in Manufacturing and Oregon Tradeswomen, to help women secure employment and businesses find and retain female employees. Breaking down the “bro culture” prevalent in manufacturing. 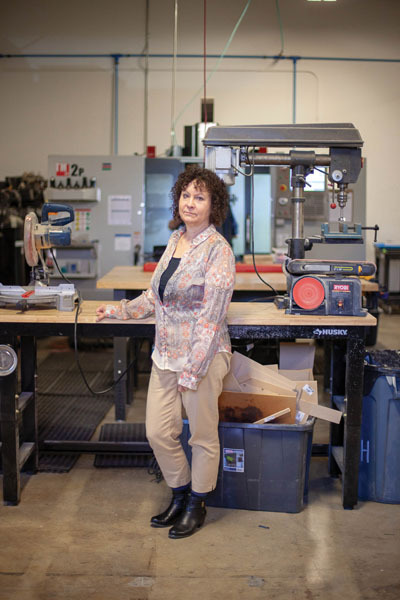 RapidMade CEO Renee Eaton, a Women in Manufacturing chair of its Oregon chapter was among the women featured in the article. RapidMade is a Portland-based additive manufacturing (3D printing) and engineering services firm.